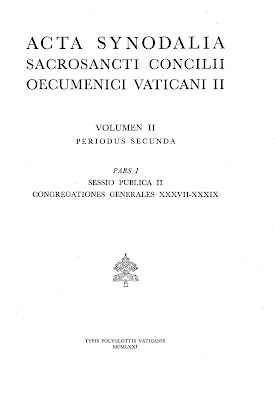 Back in May on NLM, I started a project to make the Acta Synodalia Sacrosancti Concilii Oecumenici Vaticani II easily available for anyone who is interested in precisely what was said and discussed at the Second Vatican Council. Diaries and memoirs written by some of those who were periti at the Council have recently been published (e.g. Henri de Lubac, Yves Congar, Lawrence McReavy), some for the first time in an English translation. But as interesting and valuable as these are in their own right, ultimately they cannot substitute for the speeches and written submissions of the Council Fathers themselves. Once again, be aware that the Acta are almost all in Latin, so if your language skills are a little rusty, you may need to brush up before reading or keep a grammar and dictionary close to hand. 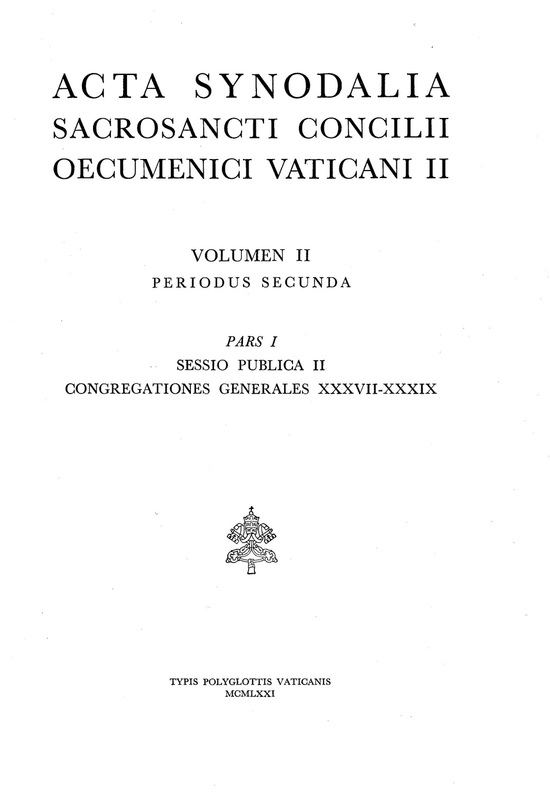 Since Sacrosanctum Concilium was promulgated at the end of the second session, this means that all the speeches and written submissions of the Council Fathers regarding the Constitution on the Sacred Liturgy, as well as all the drafts and modifications made to the text during Vatican II, are now freely available to anyone who is interested!